LeTourneau University is honored to host a visit by distinguished British historian, educator, best-selling author and public speaker Andrew Roberts, with special guest former senior advisor to President George W. Bush, prominent commentator on public affairs, and best-selling author Karl Rove during a day-long visit to Longview on Tuesday, Feb. 19. Roberts will present a public lecture on his newly published and highly acclaimed book “Churchill: Walking with Destiny” at 11 a.m. in Room 117/120 in the Education Building on the LETU campus, 2100 S. Mobberly Ave. Attendance at this event is open to the public on a space available basis and is free of charge. The lecture will be live-streamed on the Longview News-Journal Facebook page, https://www.facebook.com/pg/newsjournal/, and also will be available there for delayed viewing. Roberts’ new book, published in October, has already been translated into 8 languages and quickly became a Sunday Times and New York Times best-seller. The book was described as the “crowning achievement” of Roberts’ career, according to Henry Kissinger who said it would become the definitive biography on the life of the late British Prime Minister Sir Winston Churchill who led Great Britain to victory in World War II. Following the public lecture, a ticketed luncheon honoring Roberts, with remarks by both Roberts and Rove, will be at noon in the Great Room of the Allen Family Student Center. Seating is limited with $25 tickets available on a first-come, first served basis through contacting the LETU Office of Development at development@letu.edu or by calling (903) 233-3810. Roberts is based in London and currently is a visiting professor at the War Studies Department at King’s College, an endowed lecturer at the New York Historical Society, and is a visiting fellow at the Hoover Institution at Stanford University. Many say his expertise as a historian and writer are perhaps only exceeded by his skills as a speaker and lecturer. Roberts has delivered the White House Lecture, as well as speaking engagements at Oxford, Cambridge, Yale, Princeton and Stanford universities, as well as at The British Academy, the Foreign and Commonwealth Office, Sandhurst, Shrivenham and the US Army War College in Carlisle, Pennsylvania. Roberts frequently writes for the Wall Street Journal and regularly appears on radio and television programs around the world. Rove served as deputy chief of staff and a senior advisor to former President George W. Bush. He currently is a Fox News contributor and writes a weekly op-ed for the Wall Street Journal. He wrote the New York Times best-seller “Courage and Consequence: My Life as a Conservative in the Fight.” Other books include “The Triumph of William McKinley.” Described as a master political strategist who became known as the architect of President Bush’s successful 2000 and 2004 presidential campaigns, Rove previously owned an Austin-based public affairs firm representing Republican candidates, nonpartisan causes and nonprofits. During their Feb. 19 visit to Longview, both Roberts and Rove will teach classes at 9:30 a.m. in the morning at LETU on history and political science, respectively, to university students. Robert’s 9:30 a.m. lecture, “Great Traits of Leaders and How/When These are Strengths and When They Create Problems,” will be recorded by LETU and will be live-streamed on the Longview News-Journal Facebook page, https://www.facebook.com/pg/newsjournal/, and also will be available there for delayed viewing. 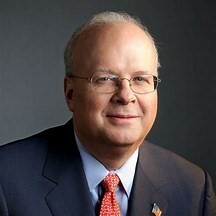 Rove’s 9:30 a.m. lecture, “Trump, the GOP, and a Realignment of American Politics,” will not be live-streamed, but will be available for viewing on the Longview News-Journal Facebook page, https://www.facebook.com/pg/newsjournal/, for delayed viewing the following day. At 2 p.m., Roberts will speak to as many as 1,100 high school students from public, private and home school groups at the Mickey Melton Performing Arts Center at Longview High School with a lecture titled “Winston Churchill’s Many Brushes with Death and What they Taught Him.” Roberts will address the students, and then he and Rove will answer questions submitted by students. The Q&A session will be emceed by Gregg County Judge Bill Stoudt. This lecture will be recorded by LISD and streamed on both the LISD Facebook page and the LNJ Facebook page. The LISD session will be recorded for later broadcast and distribution to schools participating. While in Longview, Roberts and Roves will visit the site of the origin of the "Big Inch" pipeline in Longview that carried East Texas oil the Allies used in WWII. Former U.S. President and military general Dwight D. Eisenhower famously said that the Allied forces “floated to victory on a sea of East Texas oil." The Feb. 19 visit to Longview is being made possible by the generosity of numerous donors including Sue and Ruben Martin, Anna Lee and Sidney Allen, Lou Ann and Joe Bob Joyce, Paige and Jay Chastain, Susan and John Coppedge, Scott E. Stevens, Suzanne and Bill Stoudt, Blake Cammack, John Robbins, Linda and Charles Thomas, Dr. Bill Taylor, Dr. Charles and Iris Newkirk, LeTourneau University, Longview Independent School District, Barron’s and Café Barron’s, Longview News Journal, Longview Chamber of Commerce, Gregg County Historical Museum, KTBB Radio- Paul Gleiser, Green Ad Agency, RLM General Contractors and many others.